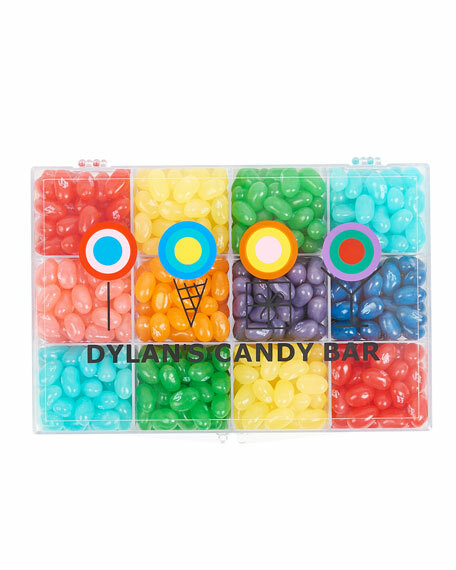 This exclusive Dylan's Candy Bar tackle box is stuffed full of delicious Jelly Belly favorites! Featuring a delicious and colorful assortment of signature Jelly Belly Jelly Beans, the ultimate treat for any jelly bean aficionado! 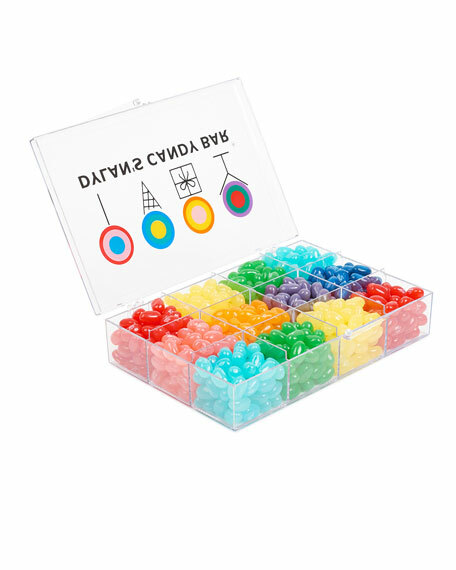 Jelly Belly Jelly Bean tackle box include: green apple, very cherry, pineapple, berry blue, blueberry, island punch, orange and cotton candy. 7.5"W x 5"D x 1.5"T.
Allergen Information: Manufactured in a facility that processes tree nuts, peanuts, milk, soy and wheat.